This could result in an innocent person's DNA being transferred by an object or even a handshake to a place they have never visited. Now Flinders University Professor Adrian Linacre and a team at the University's College of Science and Engineering have developed a new test, which can reveal the amount of DNA people shed. "We know that some people pass on more of their DNA because when they touch something more of their cells are left behind," says Professor Linacre, Chair of Forensic DNA Technology at Flinders University. "They are called shedders but it's very difficult at the moment to see who is a shedder," he says. "What we have developed is a simple test which can work out if an individual is a shedder in a matter of minutes, which tells us who has the better chance of passing on DNA." 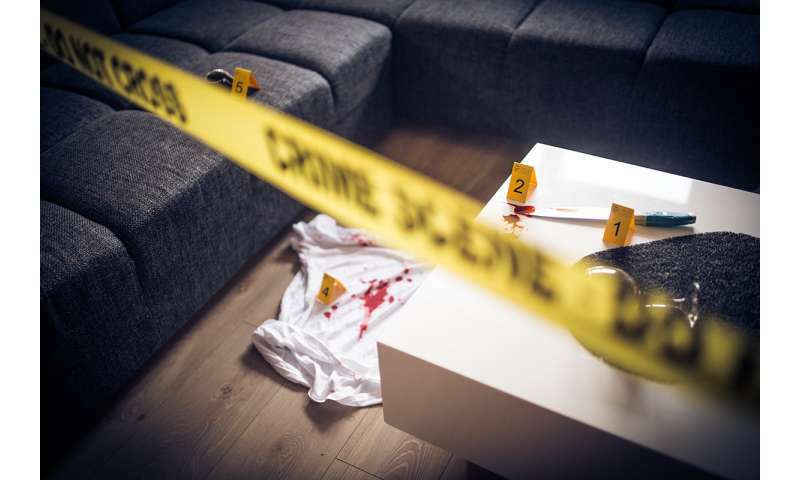 Co-author on a new paper outlining the discovery, forensic science Professor Paul Kirkbride, says the test can help forensic examiners at crime scenes identify materials which confirm the presence of DNA that is likely to provide an individual's genetic profile. "Currently the forensic examiners are working blind because they can't see the exact location which contains deposits of DNA and therefore have to sample where they think DNA might be stored," Professor Kirkbride says. The shedders test also showed men shed more than woman, and that thumbs leave the most accurate traces." The article, "Shedding light on shedders' (September 2018) by P Kanokwongnuwut, B Martin, KP Kirkbride and A Linacre has been published online in Forensic Science International: Genetics.